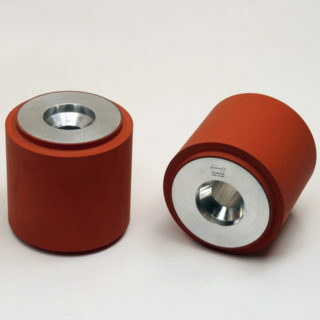 Silicone Rollers and Sheets for assembly operations are available in stock items or custom specifications. 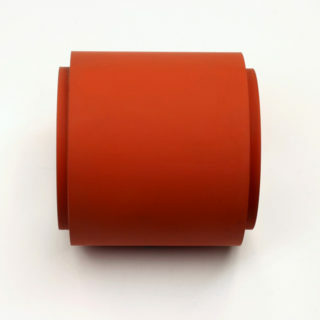 Silicone is bonded to metal sheets and rollers and is an ideal product to make push bars, robotic gripper fingers, part-moving components, heat-sealing tools and more. The silicone rubber face is heat-tolerant to 600°F (315°C) and will not mar your plastic parts. We currently manufacture over 160 variations of stock sheets available on our online store, for immediate delivery. Choose exactly what you need. 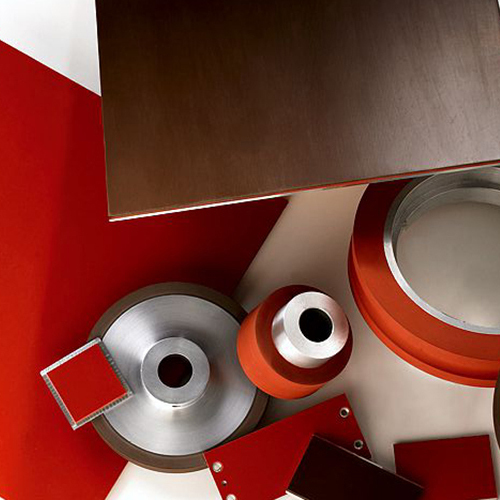 Sheets are listed by “aluminum backing thickness”; “silicone thickness”; “silicone durometer (hardness)”; and are available in 12″ x 12″, or, 12″ x 24″ inch sheet sizes. To order, simply click on the “Shop” menu tab above. You can order stock sheet sizes today from our online store or we will gladly make you a custom product to meet your specifications. 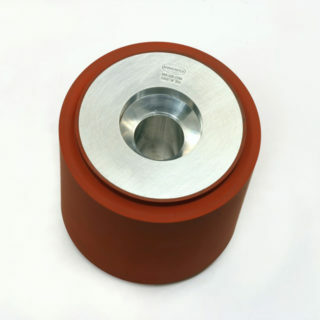 Call us for non-stock products, such as special backing plate materials or thicknesses, custom silicone formulations, durometers and textures. Our experts can advise and manufacture the right silicone sheet or roller for your application from the myriad of options available. We offer quick turnaround on custom sheets and fabrication services such as drilled and tapped holes, chamfers and more.